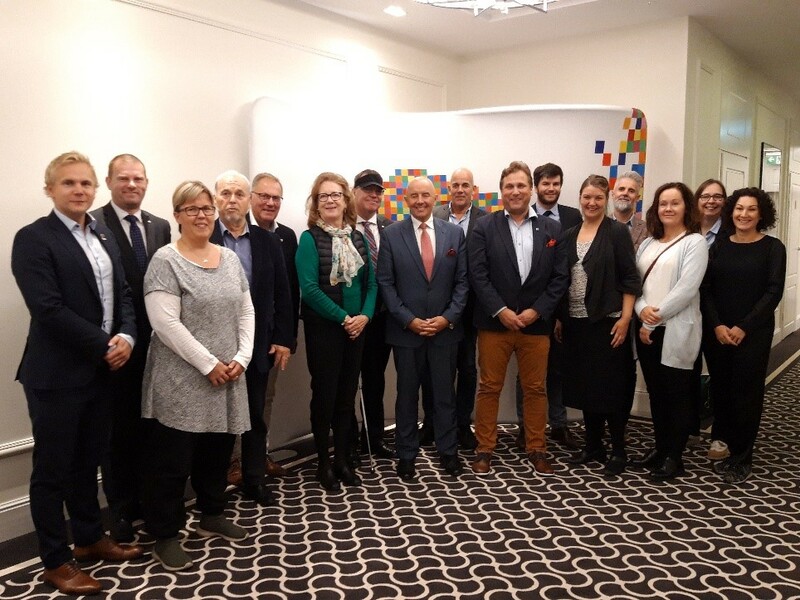 Hosted by Podlaskie Region, the Executive Committee of the Baltic Sea Commission met in Bialystok (Poland), on 25-26 September to discuss EU policies and ongoing activities. The meeting was followed by a high-level discussion on Transport, focusing on the corridor Via-Carpathia. Chaired by the newly elected President of the Baltic Sea Commission, Mr Jari Nahkanen, the Executive Committee meeting provided the opportunity to discuss current development of EU policies of relevance for the Baltic Sea member regions. Discussions focused on the negotiations on the post-2020 EU budget and Cohesion Policy as well as EU transport policy, the CEF II. In addition, there were updates on the recent work of the BSC Working Groups on Transport, Maritime Affairs and Renewable Energies, as well as projects with which the Baltic Sea Commission is associated. The meeting also offered also the chance to learn more about the EU priorities for Podlaskie Region. Marshal Jerzy Leszczyński stressed the crucial role of Cohesion Policy for the development of Podlaskie Region and called for a strong post-2020 Cohesion Policy. He said that “a strong European Union requires a strong social, economic and territorial cohesion”. Finally, members of the Executive Committee participated in the high-level conference on Via-Carpathia in presence of polish representatives from the regional and national level. Chaired by Vice-President of the Baltic Sea Commission, Cezary Cieslukoski, BSC member regions stressed the strategic importance for Podlaskie region of developing the Via-Carpathia corridor further, as well as further connecting the Baltic Sea Region with the southern part of Europe.